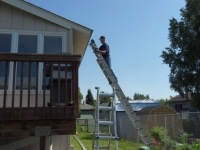 It’s one of the worst autumn chores – cleaning the gutters – but it’s incredibly important for you and your home, especially in the cold winter months. 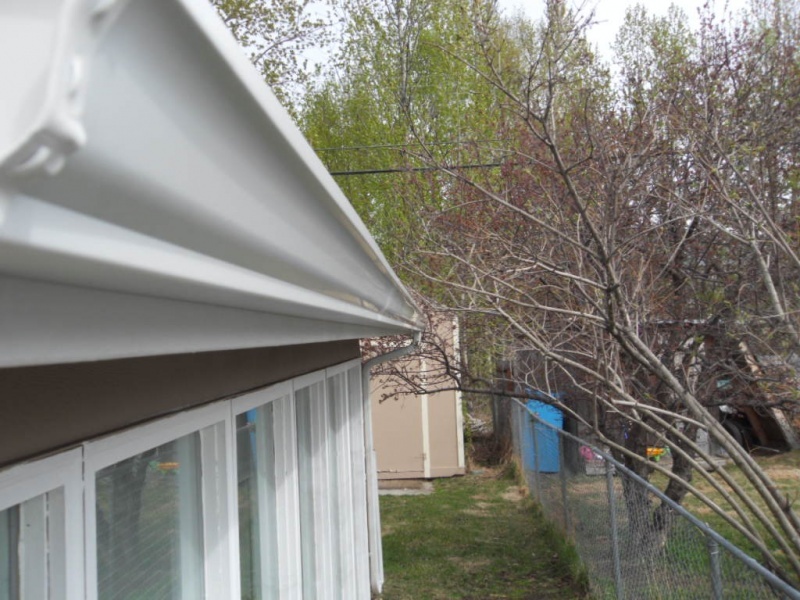 Maintaining clean gutters allows water to flow freely away from your home and prevents potentially dangerous ice dams from forming on your roof, among other benefits. There are several common threats to your gutters in the winter months, so let’s take a closer look at four of the most common issues and why they can be problems for you and your gutters. This loops back to making sure your gutters are clean and clear of debris. 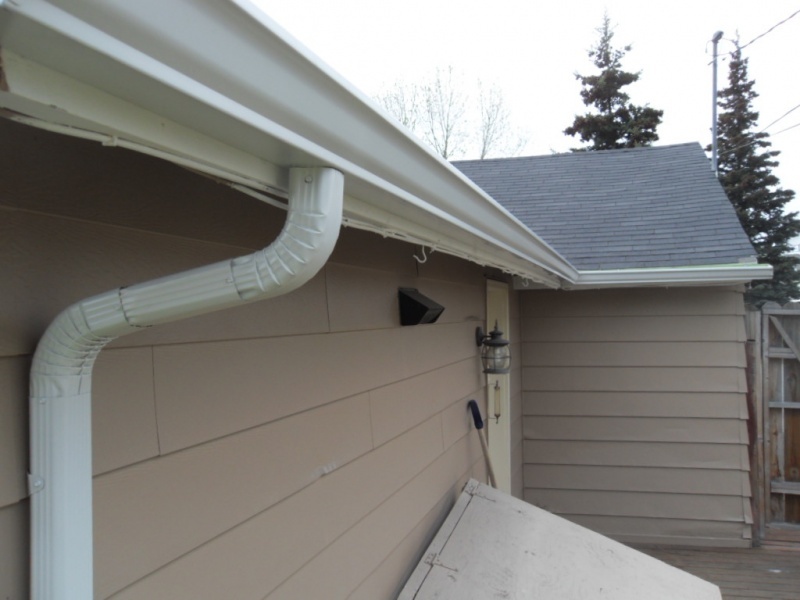 Clogged gutters can allow water to sit and freeze instead of drain, leading to large chunks of ice that form and freeze in your gutters. 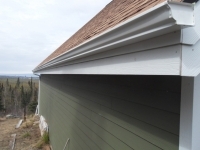 Sometimes, if they are heavy enough or layered from the accumulation of multiple snowstorms, this extra ice weight can cause gutters to snap off the house entirely or allow backed up water to freeze under shingles and cause damage to the roof. 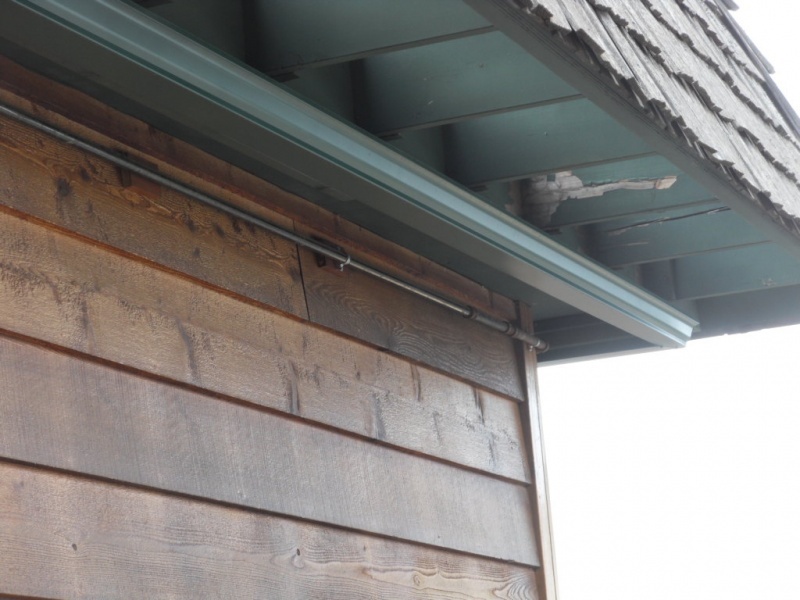 Similar to ice dams, blockages in gutters can allow water to flow through the next accessible route – down over the edge of the roof. 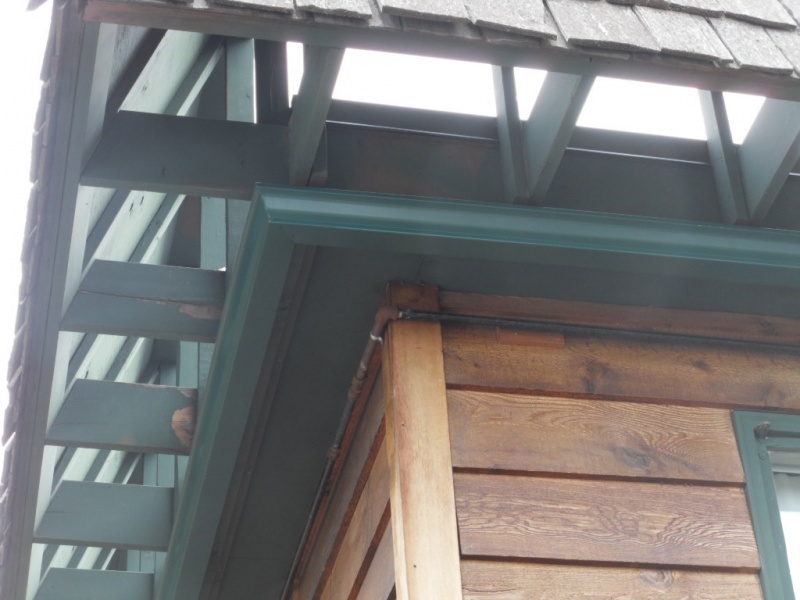 In the cold of winter, this can lead to large icicles forming, some of which can become quite large. This causes two concerns for homeowners. 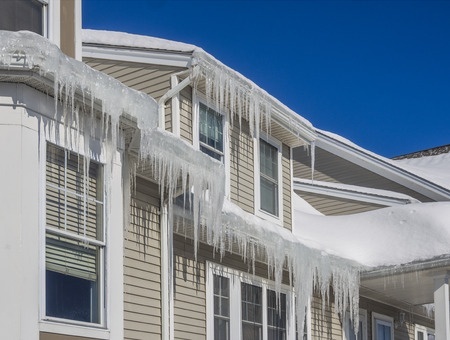 First, there is the weight issue just the same as with ice dams, but in the case of icicles, they can become serious hazards that could drop unexpectedly and cause injury or even death! 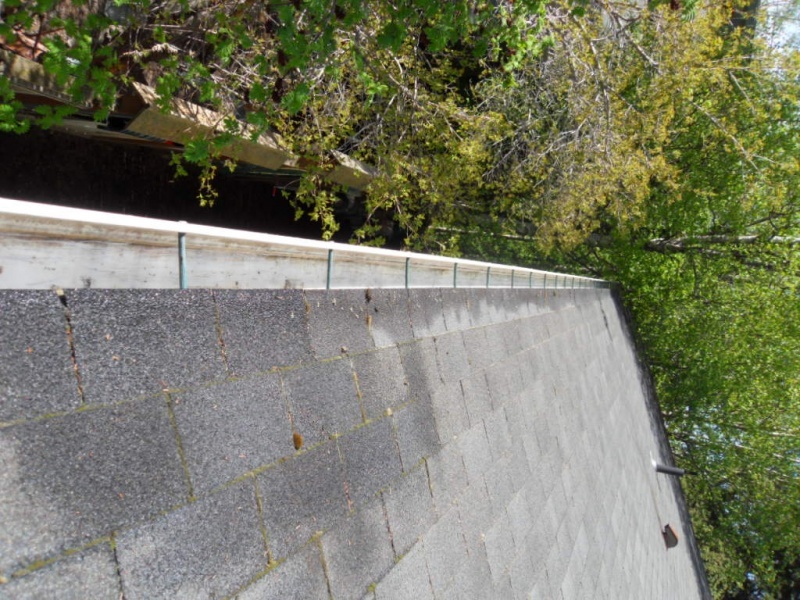 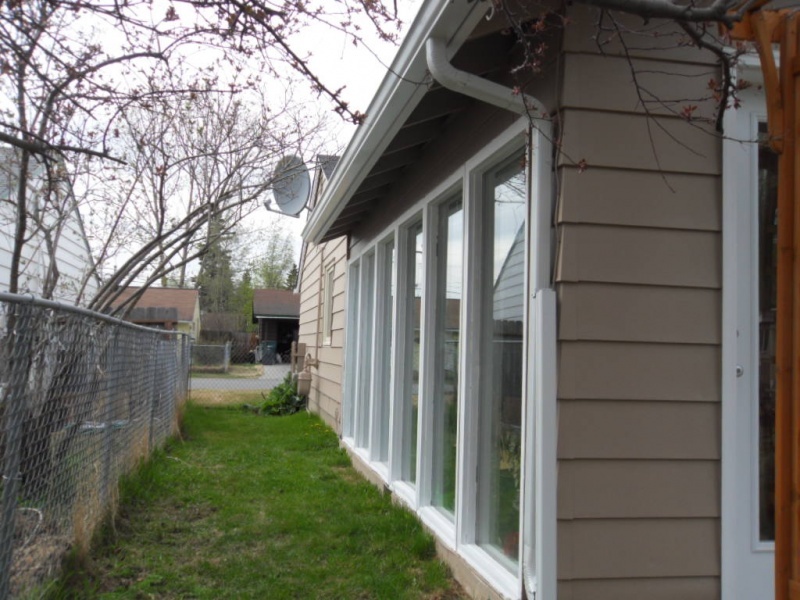 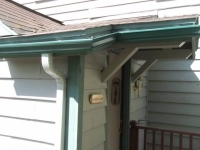 The open portion of the gutter along your roof edge is easy to see and clean, but sometimes debris can flow into the downspouts and create an unseen blockage. 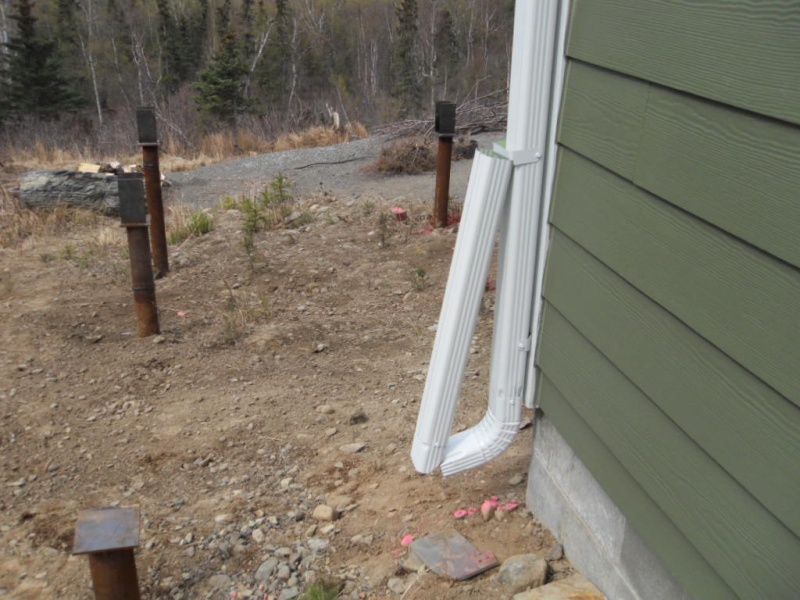 During the winter season, this blockage can slow water as it begins to freeze, allowing the drainage to become completely obstructed and allowing water – and ice – to back up in the entire downspout. 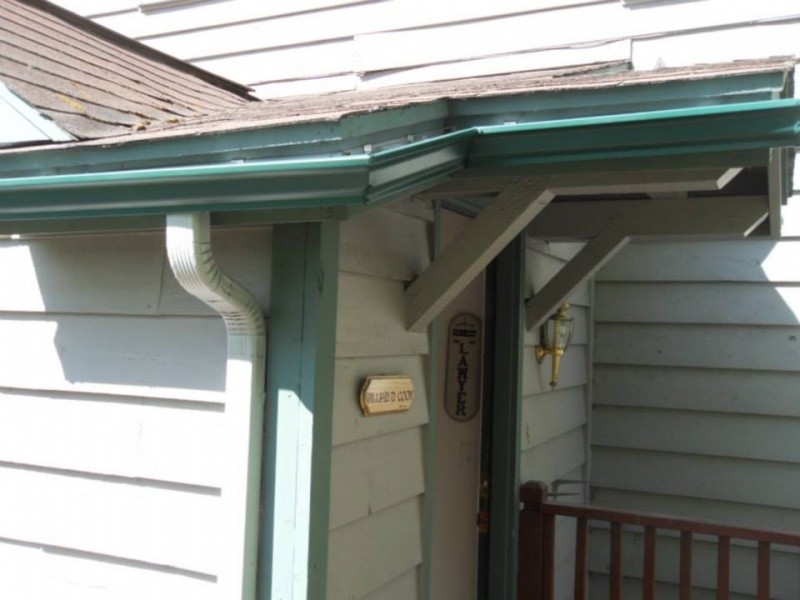 Since water expands as it freezes, a backlog of water can cause your downspouts to crack and burst, diminishing the capabilities of your roof drainage and leading to more problems in the springtime. If you live in an area that gets a lot of snow, it’s important to find a way to clear your gutters out regularly. 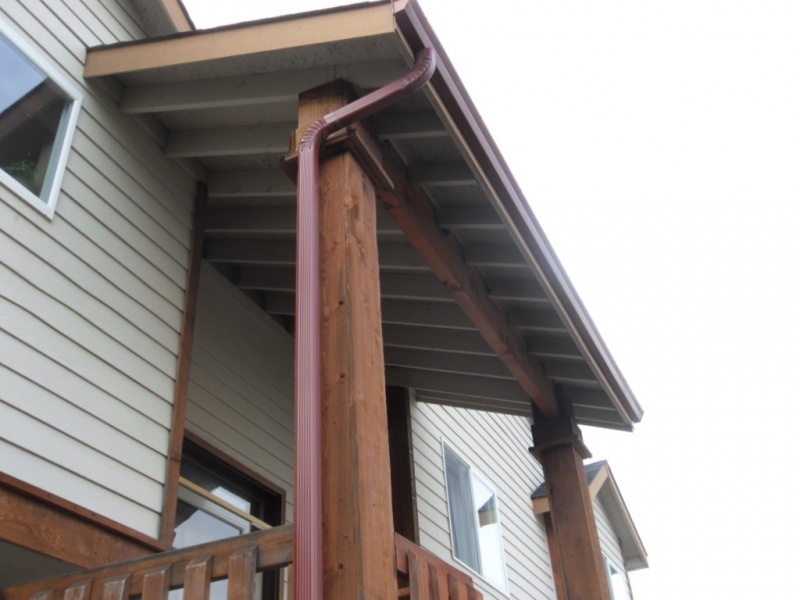 Gutters cannot hold the weight of a heavy, wet snowfall – especially if ice has begun to form as well. 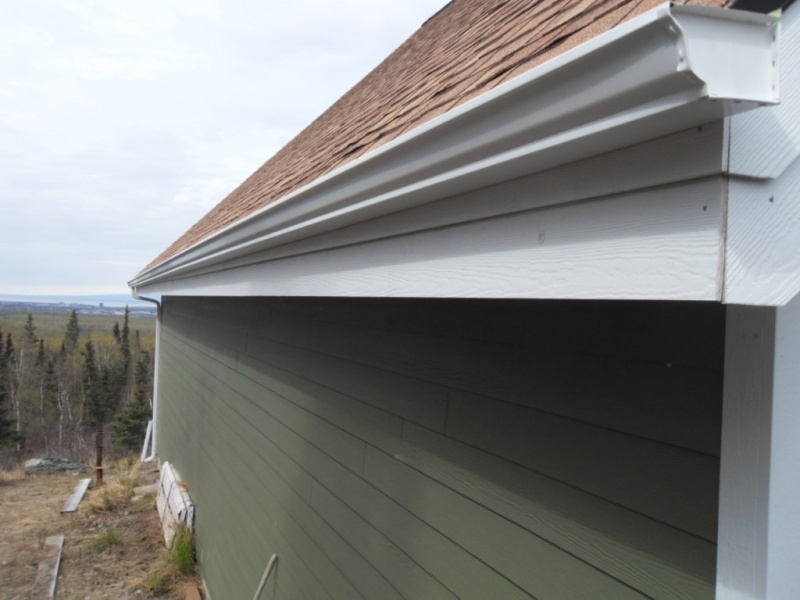 If you can, brush out the snow in your gutters to help relieve the strain and stress. 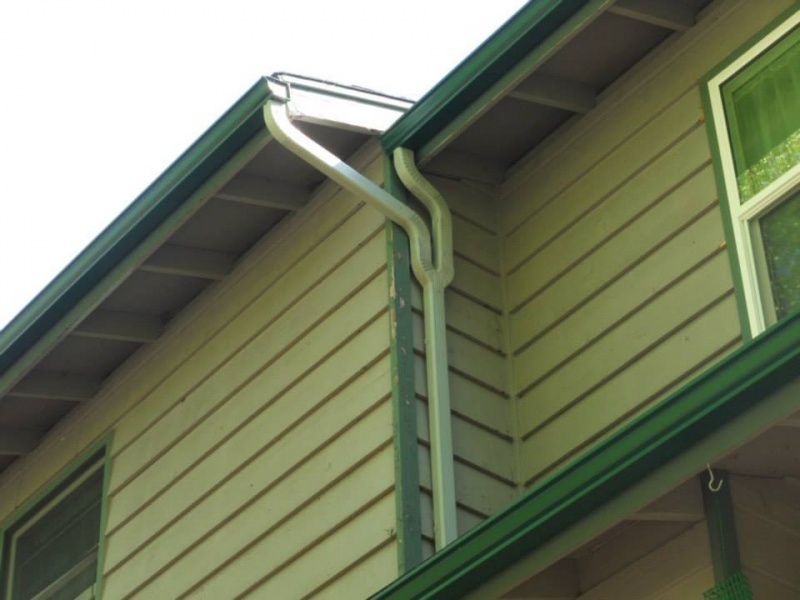 This can help keep your gutters in good condition all throughout the winter and into the warmer months ahead. 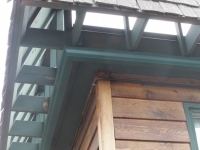 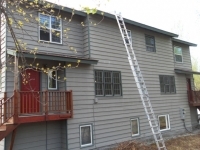 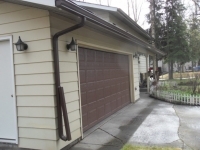 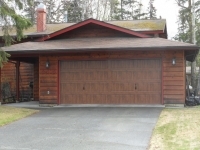 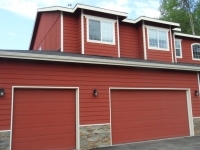 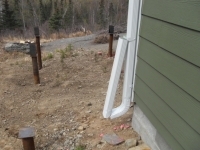 Alaska Premier Gutters offers gutter installation, repair and cleaning services in Anchorage and the surrounding areas of Alaska. 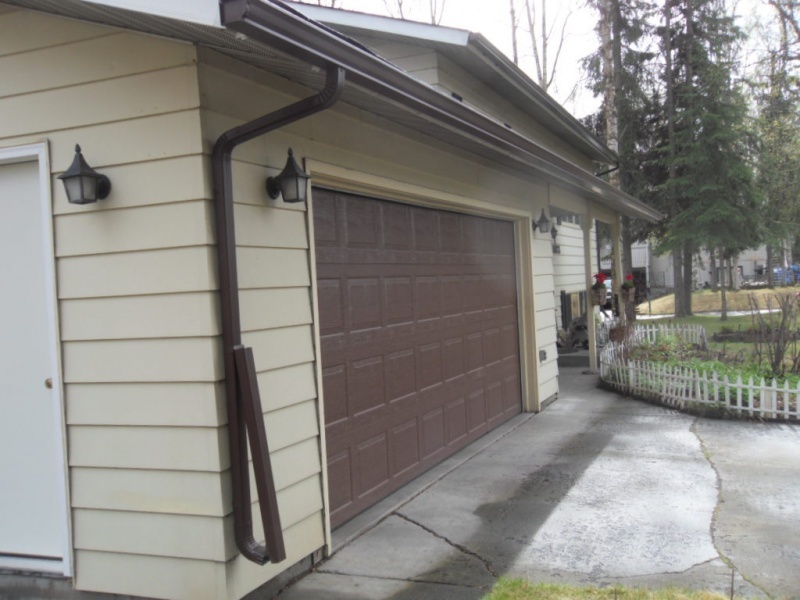 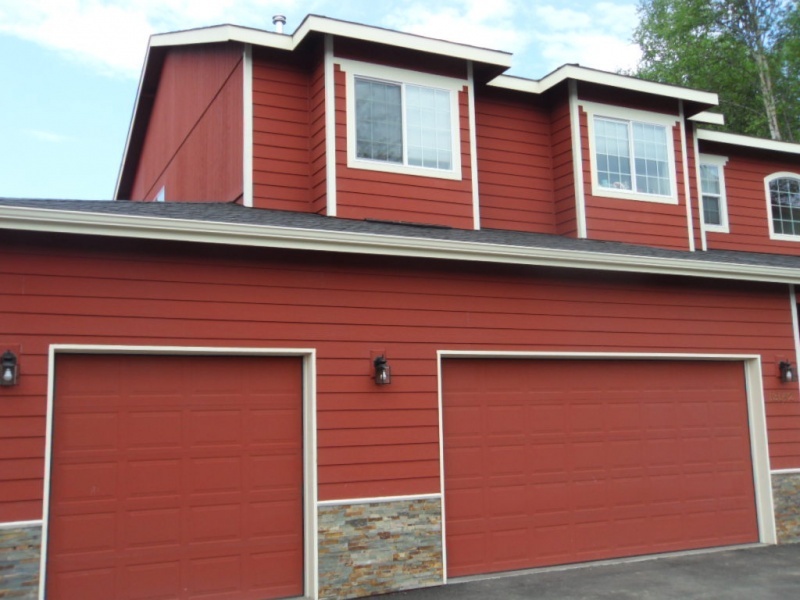 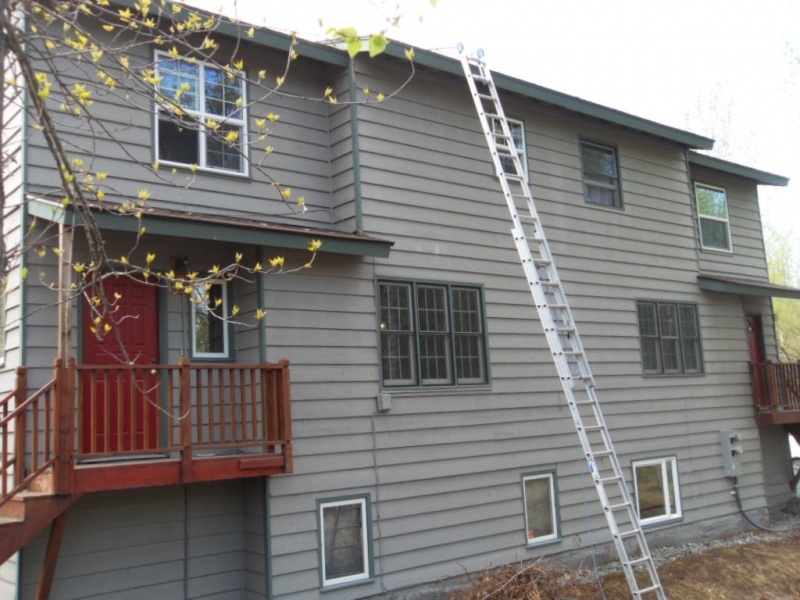 Whether you need gutter cleaning, repair work or a new system designed and installed, give Alaska Premier Gutters a call at 907-272-2337 to learn more or to schedule a consultation.